The 4* Hotel H10 Andalucia Plaza is very close to several top-level golf courses. This exclusive Andalusian-style hotel has been revamped with an avant-garde and modern design. Nearby Golf Courses: There are a number of quality golf courses including the La Quinta Golf, Los Naranjos, Aloha, Atalaya, Santa Maria, Marbella Golf, Rio Real, El Paraiso and Los Flamingos. 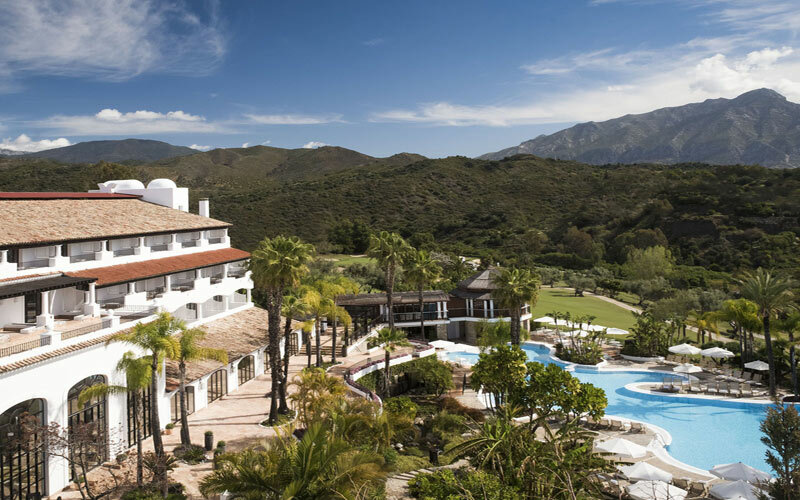 Nearby Golf Courses: The stunning Rio Real Golf Hotel is located right by the beautiful Rio Real parkland course with views over the mountains and Mediterranean sea. Other popular courses nearby include Santa Clara, Marbella Golf and Country Club and within a 20 minute drive you have La Quinta Golf, Los Naranjos, Aloha, Atalaya, El Paraiso and Los Flamingos. The 5* Villa Padierna Palace Hotel enjoys a wonderful location amongst some of the most stunning scenery on the Costa del Sol. Key amongst the backdrop is the wonderful way in which the three on site golf courses have been sculpted to reflect the beautiful nature of the area. Not to be out done the Palace Hotel lives up to it's name having been designed in the grand Italian Tuscany Palace style. 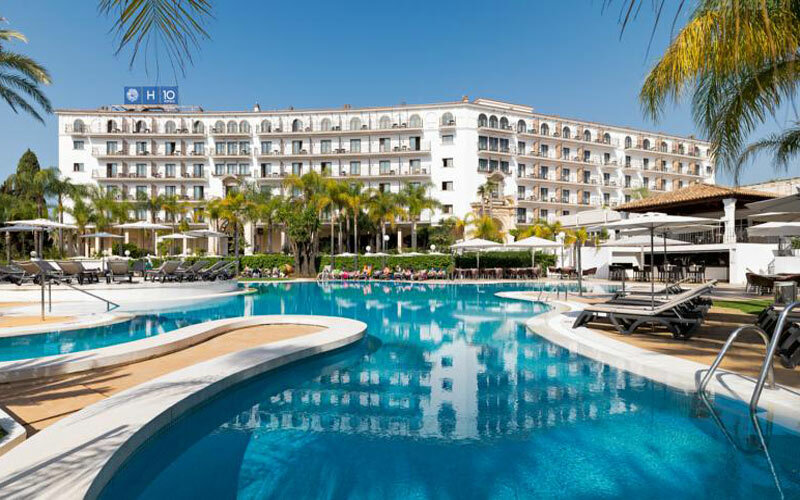 The 5* Los Monteros Hotel & Spa is a beautiful resort for golf holidays in the costa del sol featuring everything you could need to enjoy a holiday. Including being treated to a champagne breakfast buffet. The picturesque port of Puerto Banus is just under ten miles away. 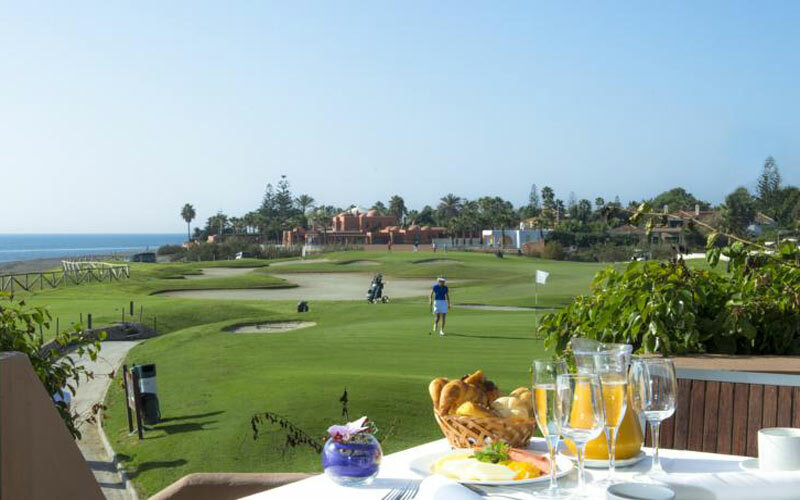 You also have the excellent choice of two golf courses, Marbella Golf Club and Santa Clara Golf Club. 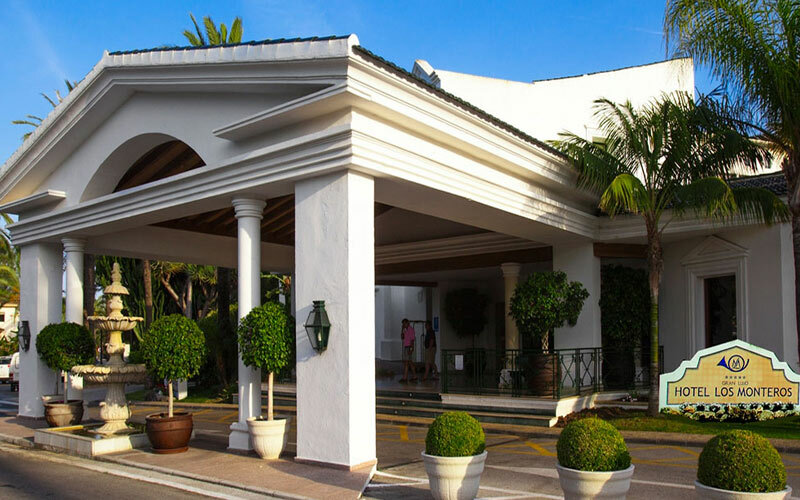 The 4* Hotel Guadalmina Golf Resort & Spa in Marbella is a modern hotel with an ideal beachfront location with direct access to San Pedro Beach. 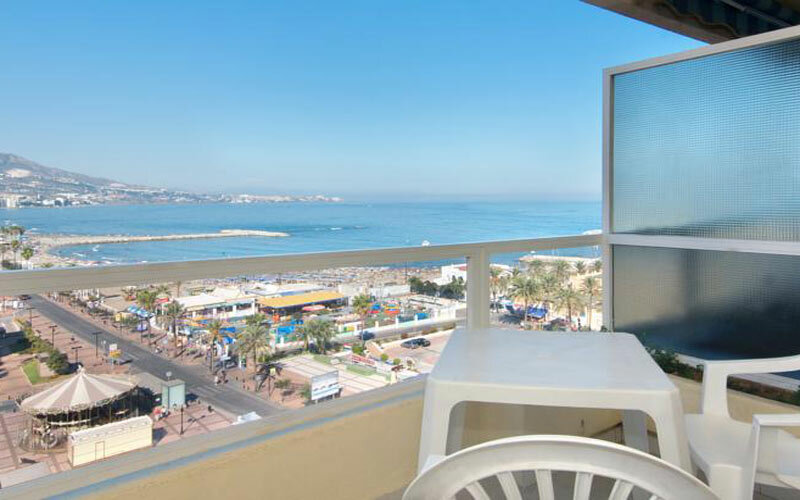 With great access to Puerto Banur (8km) and Marbella (16km). The resort offers two Championship golf courses, Guadalmina North and South, as well as offering a nine hole par 3 course. 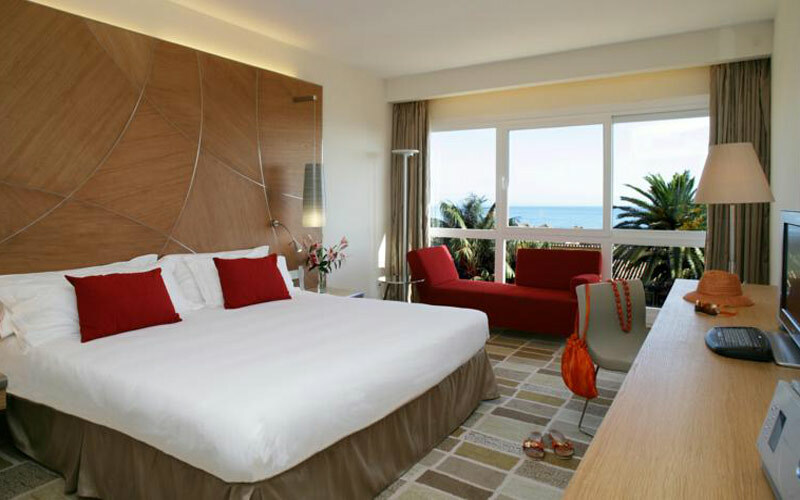 The Hotel and Apartments PYR Marbella is a 3* apartment hotel which is very close to the sandy beaches. There are 5 golf courses in the immediate surroundings and the best bars and restaurants are a short walk away. The en-suite guest rooms are equipped with all of the modern amenities you would expect from a hotel of its class, including satellite TV and air conditioning. Nearby Golf Courses: There are a number of quality golf courses including the La Quinta Golf, Los Naranjos, Aloha, Atalaya, Marbella Golf, Rio Real, El Paraiso and Los Flamingos. The 5* Hotel Westin La Quinta Golf Resort & Spa is nestled by the green fairways of La Quinta golf club and guests are within easy reach from the vibrant Puerto Banus Marina. Nearby Golf Courses: There are a number of quality golf courses including the onsite 27 hole La Quinta Golf and within 20 minutes drive there are great course such as Los Naranjos, Aloha, Atalaya, Santa Maria, Marbella Golf, Rio Real, El Paraiso and Los Flamingos. The 5* Hotel Don Carlos provides superior accommodation and excellent friendly service to make your stay a pleasant one. Situated in an exclusive estate of subtropical gardens filled with pine woods and exotic flowers that gently meander to the finest beach in Marbella, this property is just 11 kilometres from the Marbella City Centre. Golf courses nearby: Santa Maria golf, Marbella Golf and Country Club , Santa Clara and Rio Real are all located within a 10 minute drive from the hotel. The 5* Grande Luxe Puente Romano is a luxury beach hotel which is a member of the Leading Hotels of the World association. Staying at the hotel offers the exclusive benefit of complimentary green fees and shuttle service to the Marbella Club Golf Resort throughout your stay. The hotel has been designed to recreate the character and charm of an Andalusian beachfront village and is surrounded by gardens and fountains. Nearby Golf Courses: Include a selection of impressive courses including La Quinta Golf, Los Naranjos, Aloha, Atalaya, Marbella Golf, Rio Real, El Paraiso and Los Flamingos. 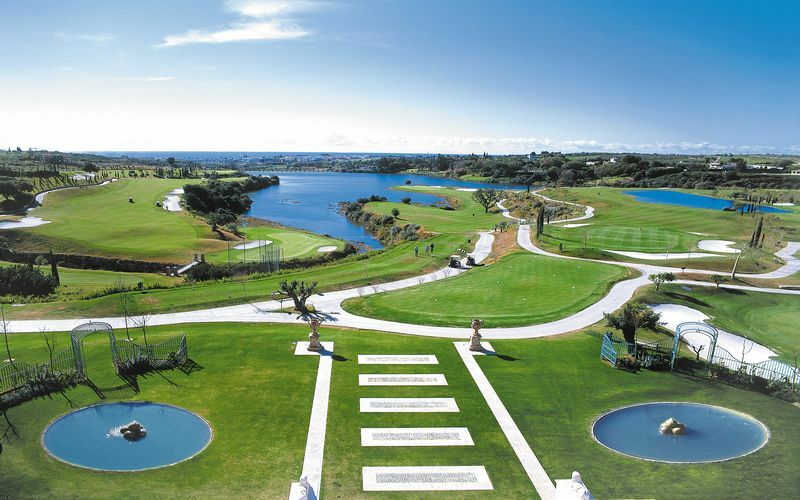 The 4* Hotel Almenara is located in the unique surroundings of Sotogrande overlooking the Mediterranean and surrounded by some of the best golf courses in Europe. Ideal golf holidays in the costa del sol. It is easily accessible from the airports of Malaga, Jerez de la Frontera & Gibraltar. 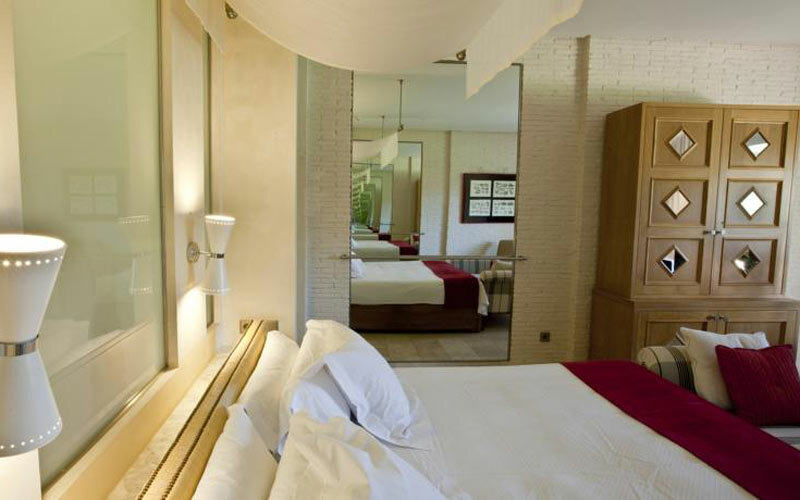 The Resort has 148 beautiful rooms which all have views of the golf course, the gardens or the sea. There are fantastic packages available to stay here and play golf at the 27 hole Almenara course. Two restaurants and a Spa makes this the perfect place for a relaxing golf holiday. Nearby Golf Courses: The hotel Almenara is idealy located in the cebnter of the 3 x 9 hole golf resort. Other notable golf courses nearby include La Reserva Golf, Sotogrande, Valderrama and San Roque.